Switch to Green - 21st European Forum on Eco-innovation, Sofia, Bulgaria, 5-6 February 2018. 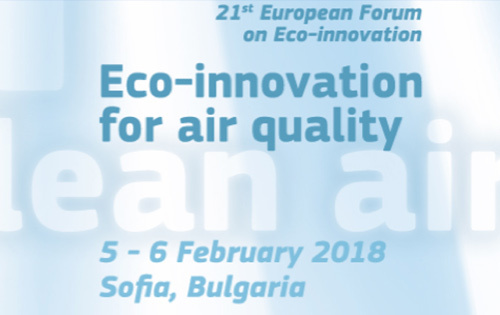 21st European Forum on Eco-innovation, Sofia, Bulgaria, 5-6 February 2018. The Forum will examine eco-innovative solutions for improving air quality. It will bring together companies and public authorities that have already succeeded in developing and deploying effective new technologies, or innovative business and governance models, with those who are looking for such solutions and practices. In particular, air pollution originating from energy use, transport and agriculture will be addressed. 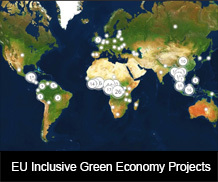 The issue of how to secure financing for eco-innovative solutions will also be prominently discussed. This event is jointly organized by the European Commission’s Directorate General for Environment and the Ministry of Environment and Water of the Republic of Bulgaria.